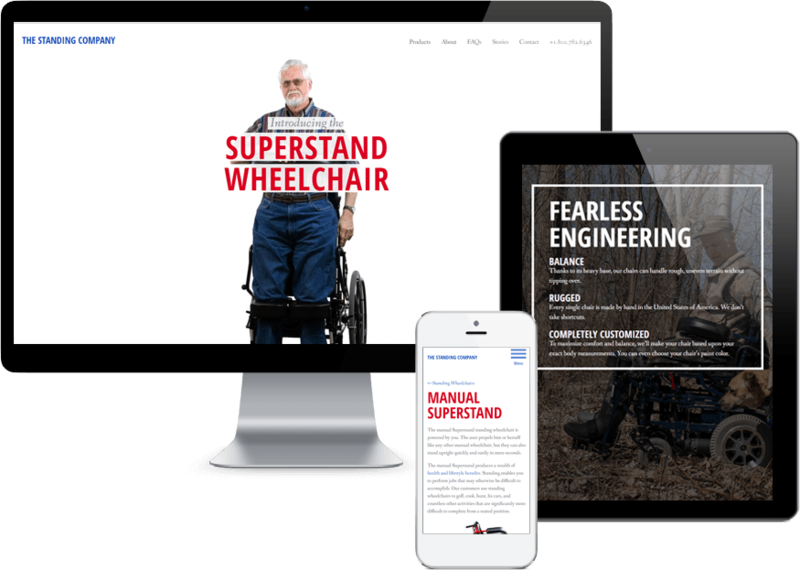 From their headquarters in Saginaw, Michigan, The Standing Company produces custom-built wheelchairs that enable users to stand. But while their products are innovative, their website had become woefully out of date. They hired us to build a new, modern website from the ground up. 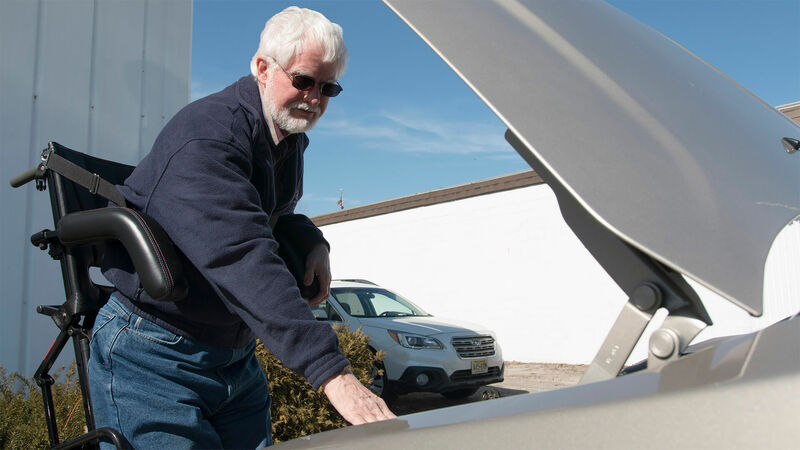 It needed to reflect the impressive technology and premium value in their products, but also convey American patriotism since the company’s owners and many of its customers are military veterans. We spent a day at The Standing Company’s headquarters to capture shots of their products. We started with products isolated against a white background. But customers tend to be skeptical that the chair is as stable and rugged as The Standing Company claims. This is understandable; the product is almost unbelievable. 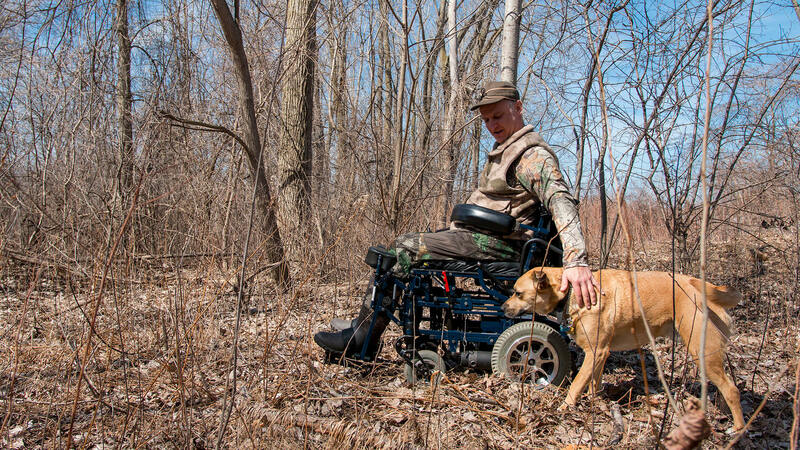 To prove that the product is as good as described, we captured action shots of actual chair users in challenging positions — travelling through the woods, firing a gun while standing, leaning over a car engine, and reaching for a high shelf. The home page has a simple job — quickly introduce the chair so visitors feel compelled to learn more. 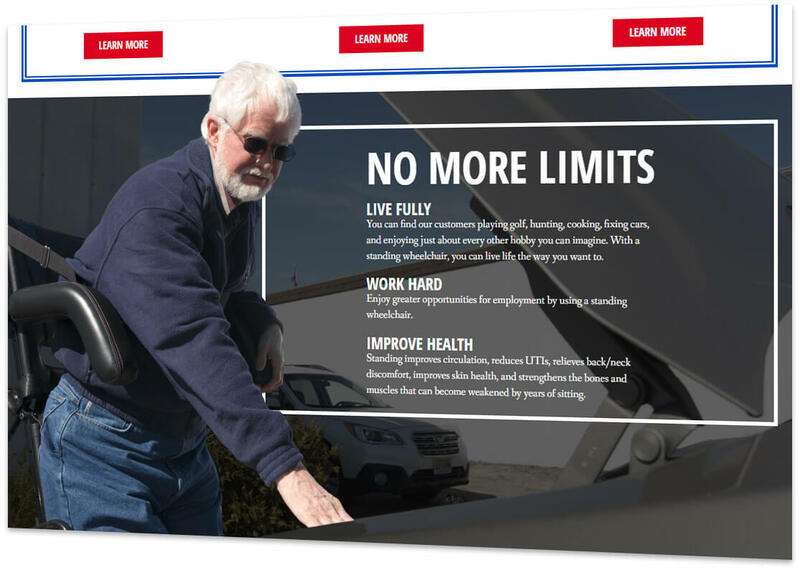 The site opens with a video showing a user easily transition from sitting to standing. If you’re a chair user that has never seen a wheelchair like this, it’s impossible not to be fascinated. 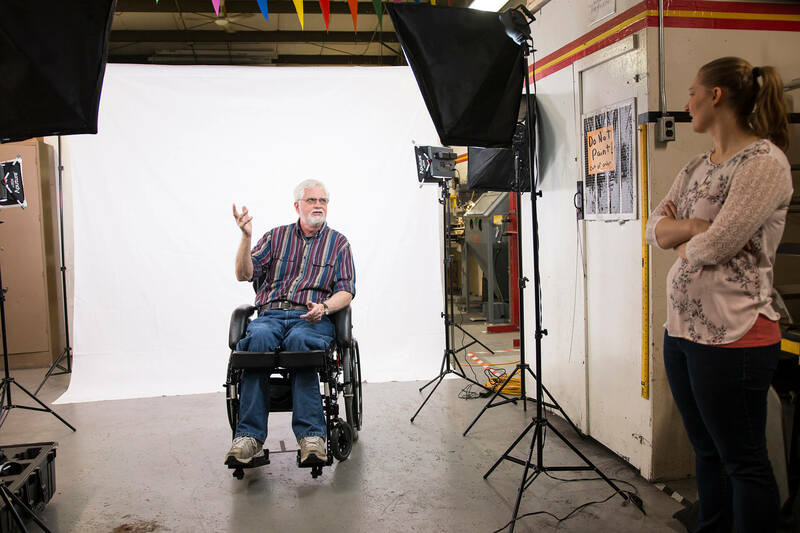 Next we featured photos of the product in challenging positions, explained the product’s highlights, and presented stories of actual chair users whose lives have been changed by a standing wheelchair. Finally, a simple form allows potential customers to easily contact The Standing Company and start the purchase process.